Character Lycanroc Sun & Moon belongs to Pokémon, Nintendo, Game Freak. wait they made a werewolf pokemon.....SOLD! can it infect your charicter please god let that be an option! 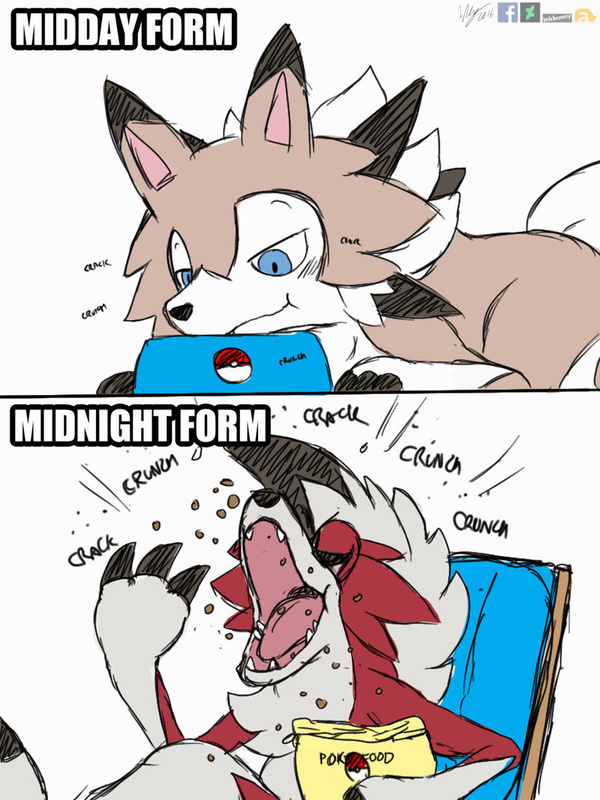 Bad dog Lycanroc stays up late while eating junk food and watching trash on Netflix.